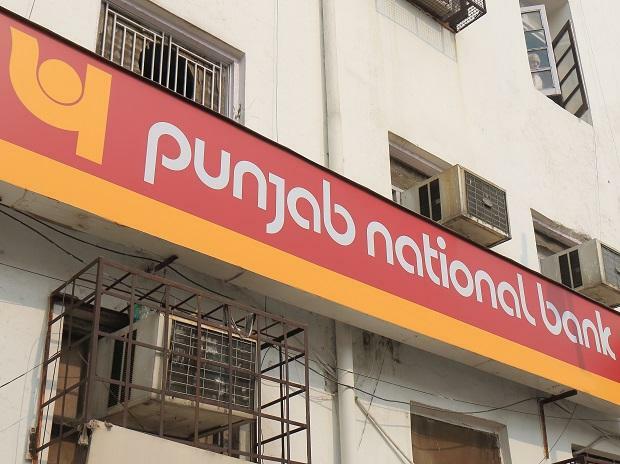 State-owned Punjab National Bank (PNB) has bounced back into the black in the third quarter of this financial year — for the first time after it was hit by the country’s biggest banking fraud a year ago — on account of a drop in provisioning for bad loans. PNB posted a net profit of Rs 246 crore in the third quarter of 2018-19, which is 7 per cent higher than the profit of Rs 230 crore in the corresponding period of the previous year. In the second quarter, it had posted a net loss of Rs 4,532 crore. The bank’s provisioning for non-performing assets (NPAs) stood at Rs 2,566 crore in the third quarter, down from Rs 2,996 crore in the same quarter last year. The government's support in the form of capital infusion also helped PNB to zoom back to profitability. The Centre has infused roughly Rs 8,200 crore into the bank, under its recapitalisation programme. The Delhi-headquartered bank was involved in a Rs 14,356-crore fraud by group of companies belonging to Nirav Modi and Mehul Choksi in January last year and had been reporting successive net losses since the last quarter of 2017-18. As a result of the fraud, PNB had posted the biggest bank loss of Rs 13,420 crore in history for the fourth quarter of FY18 and it was the fifth-largest quarterly loss ever for an organisation listed on the stock exchange in India. “We were passing through the most turbulent times in the banking history, especially our bank, and I am really happy to announce that we are back into the black,” said PNB Managing Director and Chief Executive Officer Sunil Mehta at a press conference. The bank's share was up by 0.55 per cent at Rs 73.55 on the BSE. The bank has provided the full amount for the fraud, Mehta said, adding that the “bank has the capacity and the capability to absorb the shock". The bank has not sought for additional funding from the government, he said. “In the process, we have honoured all our commitments and despite deficiency on part of other (banks in the fraud), we have taken the onus on us and met all commitments,” Mehta said. PNB’s gross NPAs as a proportion of gross advances fell to 16.3 per cent as of December 2018, from 17.16 per cent by the end of the previous quarter. The bank’s net NPAs came down to 8.22 per cent (Rs 77,733 crore) from 8.90 per cent (Rs 38,279 crore) at the end of September 2018. The bank also cited “strong recovery” of bad loans as a key factor leading to profitability within a year of the biggest banking fraud. 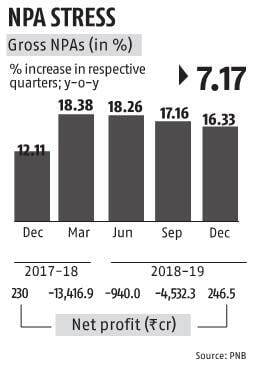 “The first quarter recovery stood at Rs 8,445 crore -- unprecedented in industry, even more than the Rs 5,617 crore full-year recovery last year. Our recovery for the first three quarters (at Rs 16,600 crore) is three times the recovery of last year,” Mehta said. He added that PNB had good value of assets under the Insolvency and Bankruptcy Code’s resolution process, and if resolved by March this year, can help it fetch Rs 5,000 crore. The bank’s capital adequacy ratio (CAR) also improved from 9.2 per cent by the end of March 2018 to 10.52 per cent by the end of December. The bank management said that the monetisation process of its old headquarters in Delhi may fructify in the fourth quarter and along with it no provisioning requirement for IBC cases will help PNB retain its profitability.